eBay is cutting compensation up to 70% for certain affiliates who drive traffic to its site effective today, January 19, 2019, a further sign the company is engaged in cost-cutting. But does it make sense for eBay to cut back on performance marketing and risk alienating affiliates (who only get paid when they succeed in bringing traffic and sales to the site) at a time when it's struggling to grow sales? It's a difficult question to answer given the lack of specifics coming from the company. "We regularly look at our business and make adjustments as necessary to our affiliate program. Like many retailers, we're focused on new and reactivated buyers, and deepening their relationship with eBay over time. "This adjustment impacts our partners in the buyer/seller tools business model and some partners that focus on the collectibles category. We reached out to all impacted partners by email and/or phone as soon as possible." She declined to provide detailed information about the new rates, which have not been updated on the eBay website. Publishers who participate in the eBay Partner Network (ePN) program say the way eBay went about the cutback is disappointing. Some ePN participants received an email that they say lacked specifics and were given less than a week's notice. Others received no email at all. Some question the timing - eBay conveniently waited until one week after Affiliate Summit West, a major industry conference, thus sparing the ePN team and Director of Paid Marketing Analytics Carlos Avello from having to respond to questions about the unpopular rate cuts from affiliates during the event. Avello spoke at the event with Chris Jensen of Ibotta, with whom eBay has been working to bring affiliate marketing to mobile apps. The clues to eBay's strategy are piling up: it is concentrating on deals and mobile, de-emphasizing collectibles, and is apparently de-emphasizing buyer and seller tools. eBay CEO Devin Wenig may shed more light on his marketing strategy during the fourth-quarter earnings call at the end of the month. I'd really like to see how many sales they're making contrasted with various dollar amounts. From my perspective, they're trying to take more fees from fewer sales. At what point do causal sellers say it takes to long to receive their pittance and not bother? At what point do small business sellers just let their listings lapse because they cannot ever grow. As so many sellers have done, the affiliates will leave in disgust lowering ebay's traffic even more. Typical ebay. Can't even give them the courtesy of a reasonable time period for notification. Or as the article alluded to, none at all. How this company is still in business will go down as one of the 21st century's greatest mysteries. I gave up years ago trying to understand eBay's strategy for growth. So far my confusion has been in effect validation of them not having one. I know that Ebay still has a lot of cash sitting offshore, albeit not as much as they used to by a mile, but could it be all these stock buybacks they have been doing have put a bit of a cash crunch on them? Ebay keeps saying one thing about growing and their sellers, but continue to seem to do all they can to drive their stock price down and chase US sellers away. Maybe this is how Wenig plans on still making Ebay a feasible site for the Chinese to be their main customers, both as buyers and sellers. Wenig continues to have target fixation ( I think that is the phrase I want) as all he sees is China being the end goal and sees nothing else and misses or ignores close calls. He will wind up crashing and burning Ebay with this goal of his. The 10% seller's discount on commission fees for top rated sellers will eventually be gone too. I am sure that my affiliate traffic to ebay is minuscule in the grand picture but I can use that real estate on my web site for something more profitable if they are, indeed, cutting affiliate fees by 70%. I can't help but wonder why, when Wenig said he would bring more buyers to the site, he would cut affiliate commissions when affiliates bring buyers to the site...hmmm. The old forked-tongue these guys regularly use. I'm getting some questions from affiliates. Not all affiliates are impacted, only those who received an email. Some rates are being cut by 50%, others by 70%. 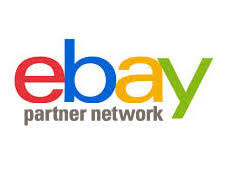 Unfortunately there is no place where eBay Partner Network explains what the new rates are and who is impacted. Best thing to do is to reach out to the program via email. And if you believe that..... Flying saucers regularly visit and they are occupied by L Ron Hubbard, Elvis and Bigfoot. Ironically, those I know who were cut were all medium to large affiliates and wasn't an across the board policy. Theory must be you can cause the least noise if you hit large revenue within a smaller pool of users. FYI: New and reactivated commissions are also cut for those users who had reductions in commissions which goes against what the spokeswomen said eBay is trying to target. Spot on about the timing. But yet you can click on a link inside an ebay ad and get an outside company site. They do not seem to be bothered by buyers clicking off ebay. there is no stupidity !! only GREED and CORRUPTION. that's what destroys all good things including honest hard working people. I'm sure EB has done the metrics and analysis and has determined it's not worth it. The analysis may even show that affiliates and the money they bring in has plateaued. We don't have that info. "I'm sure (eBay) has done the metrics and analysis and has determined it's not worth it." So why the secrecy? The timing and nature of the non-public notification fuels speculation. There's a way to fix that. Because ebay has never been a plainspoken forthright company. Everything they say is ambiguous and concealed in corporate buzz words. "I'm sure EB has done the metrics and analysis and has determined it's not worth it. The analysis may even show that affiliates and the money they bring in has plateaued. We don't have that info." Maybe. But I question it for three reasons. One, I was on a jury once where a billion-dollar company selling a dozen products "couldn't" tell how much revenue came from any specific one. Two, I've seen so much outsourced software put out numbers that are obviously wrong but management doesn't know enough to tell (and doesn't care to). Three, it's eBay. I think they've been coasting a long time and it's starting to catch up. This week ELLIOT International announced they've taken a major position in the company and put forth a letter to eBay management eviscerating them for their bungling and misuse of revenue. Their concerns were soon echoed by other large stakeholders. Institutional investors amount to around 86% of eBay stock. The affiliate program cuts are just another in a long list misguided decisions by the company. After all, Affiliates cost eBay nothing, they are in effect a sales force on commission only. You should post the open letter here, I read it, it's pretty devasting and seems Wenig's serial failures may spell the end to his position, along with much of the short sighted board. This is honestly a terrible and extremely frustrating move. I wouldnt normally but feel compelled to comment here because as one of the affected affiliates we're now in a very difficult position. We have a mobile app that scrapes eBay to find auction with no bids and it earned us a modest income (nothing to brag about, I still have to work full time) however our income rates have been slashed by 70%! So, where we might have received, for example, £10 before the change it is now £3. As people have also suggested, we got literally 3 days notice of this change and it is such a large cut we are now at risk of not being able to fund our app (it is a free app and we relied on the ebay earnings to run the website and all other associated costs). As someone has noted, I'm sure eBay have done the calculations their end and are looking to cost-cut but they are risking getting zero earnings via ourselves now - a short term view that will not help their cause.